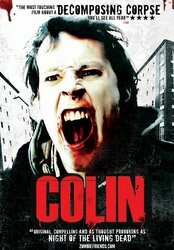 Synopsis: Our hero Colin is bitten by a zombie; he dies and returns as one of the undead. We follow him as he wanders through suburbia during the throes of a cadaverous apocalypse. Through his encounters with objects, places and people, we learn who Colin was and more pertinently, what he has now become. 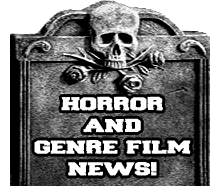 Review: What does $75 and some crafty film making get you?...Well it gets you one of the best Zombie film to be made in the past 20 years! I have to say though I was still wondering if it was true about the actual cost to make this film mainly due to the fact that it looked and was put together like a film that had a budget way higher than it actually did, but of course that's what most critics thought of Robert Rodriguez's film "El Mariachi". Anyways enough of talking about the budget and now onto the film. The story in this film is pretty basic ,but instead of following a survivor or a group of survivors you follow a zombie named Colin as he travels through the city encountering other zombies and various survivors. One thing that you do get with this film that I haven't seen since the film "I, Zombie (1999)" is some actual sympathy for the zombie which is an odd thing to say ,but I actually had some genuine sympathy for Colin from time to time throughout the film. Now when it comes to the cast of the film they did a good job at picking the right people even though there really isn't alot of charaters outside of the zombies and as far as the zombies go I absolutely loved that they went with the old school Romero style of zombies that walked instead of what I like to call the "28 Days Later zombies" that run. As far as the gore in this film, I'd have to say they did a pretty good job for the resources that they had and alot of it was pretty damn gruesome. They even go as far as to have a guy get pulled through a window and it bends him in half backwards. As far as the movie goes it was perfect, but as far as the DVD goes I really think they should of added some more special features instead of just a single commentary. I would of loved to see some interviews with the cast or even a behind the scenes featurette if they had one. Overall this was a seriously great zombie film that adds it's own twists and ideas to make it unique and stand out in a genre that is filled with numerous stereotypical zombie films.